If you own multiple domains, especially if they have been registered at different times during the development of your business, they could be spread across multiple registrars, making management cumbersome. 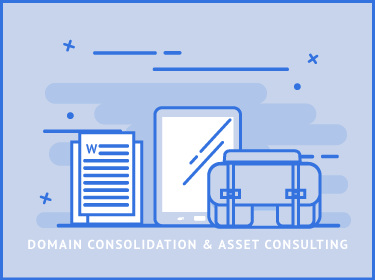 This service includes 2 hours of expert domain value consulting and assistance with domain management, which can include consolidation if you use multiple registrars. We generally recommend Godaddy as our registrar of choice, but are familiar with dozens of other registrar platforms and can help you consolidate and manage domains at your preferred registrar.